Chocolate and carbs! How could you go wrong?! This is the perfect quick and fairly easy snack. 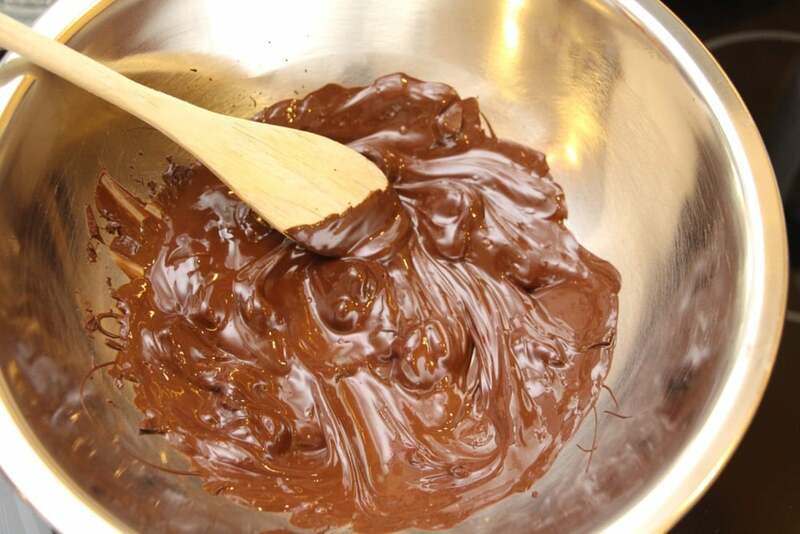 Start by melting chocolate over a water bath. I like to use a vegan dark chocolate. 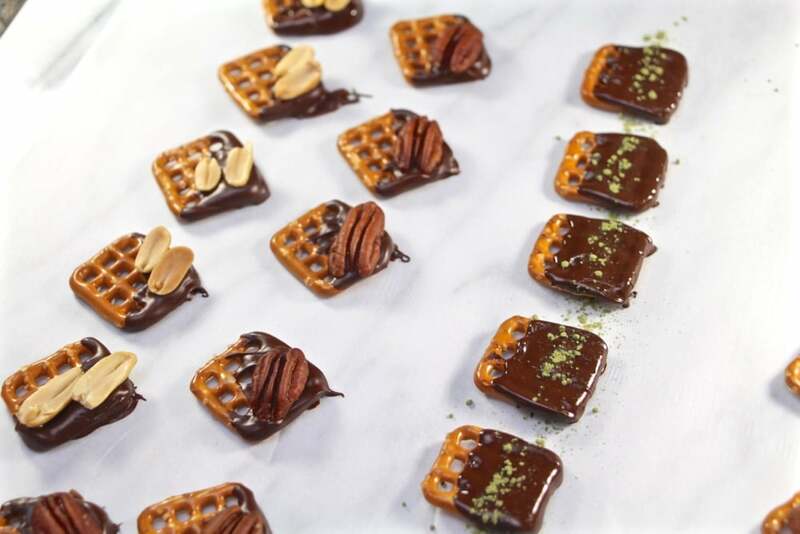 I like to temper the chocolate by reserving half the chips and seed-tempering: simply remove the chocolate from the heat and add the remaining chips. This should cause the cocoa butter crystals form properly and ensure that the chocolate stabilises at room temperature. This isn't necessary, but it makes for a better end result. 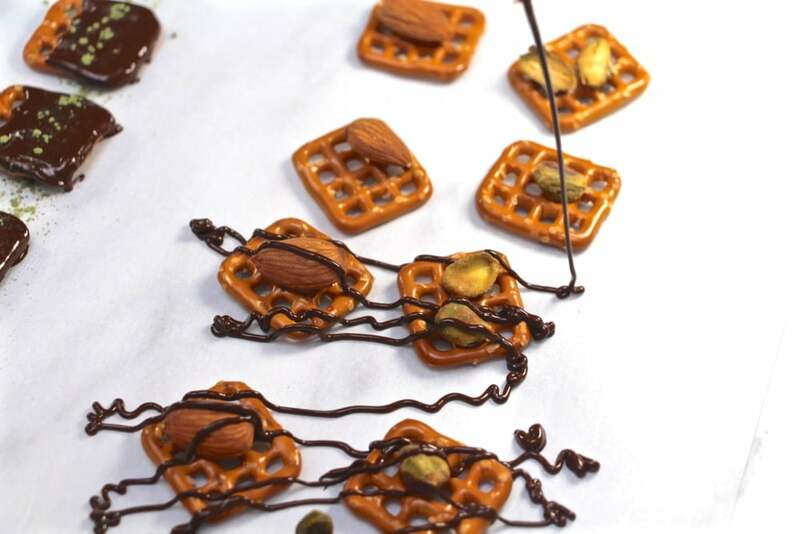 Simply dip the pretzels and affix your favourite toppings before the chocolate solidifies. Go wild! I tried pecans, peanuts, and matcha powder. I also tried drizzling chocolate over almonds and pistachios. My favourite? Peanuts! 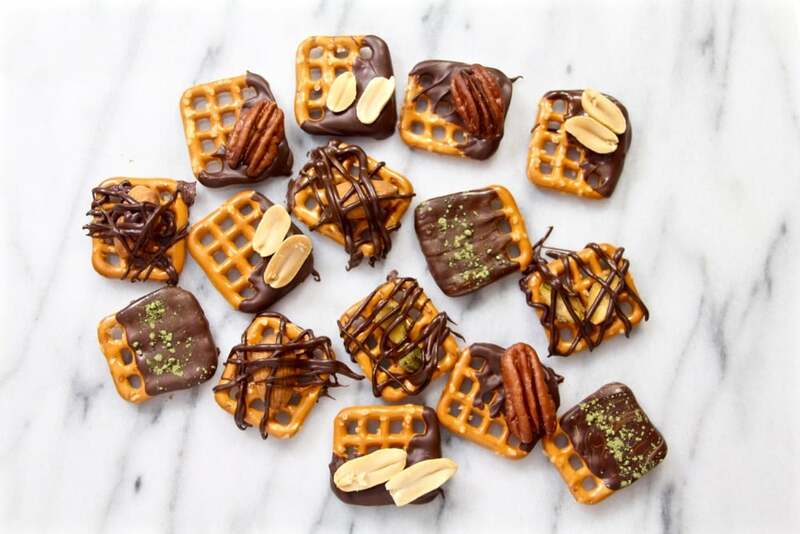 There's just something magical about peanuts and pretzels and peanuts and chocolate. But the trio, overtakes them all!